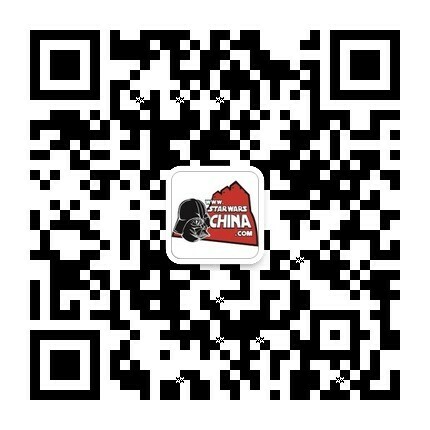 ﻿﻿ 下等人波格尔（Poggle the Lesser） - Databank - 星球大战中文网 Star Wars China - Powered by Discuz! The Archduke of Geonosis, Poggle the Lesser was the leader of a large colony of Geonosians living within the rocky spires of the desolate world. Poggle oversaw the production of battle droids for the Techno Union. He committed his workers to the growing Separatist cause, and hosted the first meeting of the Confederacy of Independent Systems on his world. Upon the discovery of Jedi and Senate spies within his domain, Poggle presided over their trial. Obi-Wan Kenobi, Padme Amidala and Anakin Skywalker were found guilty of espionage and sentenced to be executed as per Geonosian traditions. Though a dangerous misstep in diplomacy, Poggle laughed off any concerns of executing such esteemed Republic representatives. The Geonosians were weapons-builders, he reasoned; surely they would be prepared for any fallout. They were far from prepared. The crafty captives outwitted the vicious beasts unleashed upon them at the Geonosis execution arena. A sudden arrival of Jedi reinforcements turned the public spectacle into a frenzied battle. Poggle and the rest of the Separatist leaders retreated into an underground command center. There, they watched in shock as Republic forces arrived with their newly formed clone army. Overwhelmed by the attack of the clones, Poggle ordered his warriors to withdraw into the catacombs. Poggle, in possession of top-secret plans for an ultimate weapon that the Geonosians were contracted to construct, returned the blueprints to Count Dooku who fled Geonosis to courier the plans to his dark master. During the Clone Wars, Poggle served on the Separatist Council, the board of executives that funded and governed the Confederacy of Independent Systems under Count Dooku and General Grievous. He was killed by Darth Vader when the Sith mastermind behind the Clone Wars no longer had need for the Separatists. Born into a lower caste, Poggle bucked the strict societal structure of the Geonosians and aspired to leadership. With boundless avarice, he longed for the position held by the Archduke, Hadiss the Vaulted, leader of the Stalgasin hive colony. Gathering other Lessers, Poggle formed a mutinous brigade to topple Hadiss's regime. Hadiss rounded up the dissidents and had them sentenced to death in the Geonosian execution arena. Though many of his followers died, Poggle was bolstered by the secret backing of Darth Sidious, who began funneling resources into Poggle's rebellion. In a year's time, Poggle personally oversaw the execution of Hadiss, who died by acklay-claw. After purging the Geonosian ranks of any malcontents -- a process that saw that execution arena heavily used -- Poggle firmly took up the mantle of Archduke. His ruthlessness fostered awe and gossip among his followers -- the longbone he used as a command staff was whispered to be the remains of just one of the many political opponents he murdered. Indebted to Darth Sidious, Poggle stepped up production in the Geonosian foundries to build up the armies of the Sith Lord's lackeys. 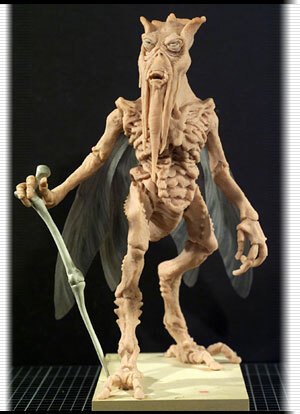 Setting him apart, visually, from the other Geonosians, Poggle wears the insectoid equivalent of a long beard. The alien being was realized as a computer-generated character. The computer physics simulation used to properly animate his bracelets required a lot of trial and error. In many tests, the bracelets refused to remain wrapped around his wrists, and would go flying off in various directions with the slightest of arm movements. Poggle's voice was developed very late in production. In the interim, the animators used backwards recording of the voice actor for lip-sync purposes. When Sound Designer Ben Burtt delivered a suitably bizarre mix of guttural speech and clicking insect sounds, the lip-sync was redone to properly match.